Kumbh Mela, one of the largest religious mass gathering events in the world, has deteriorated the quality of water in Godavari river by increasing its bacterial load 130 times, finds a recent study by the National Centre for Cell Science (NCCS) in Pune. The study was conducted in 2015 at five locations across the Godavari, namely Gangadwar, Kushawart, Anandwalli, Gharpure ghat, and Tapovan. It was done at the NCCS, Symbiosis School of Biological Sciences in Pune and KTHM College in Nashik. It received funds from the Centre’s Department of Biotechnology. A team of scientists led by Avinash Sharma, a scientist at the National Centre for Microbial Resource of the NCCS Pune, collected water samples twice (first in July before the Kumbh Mela commenced and then later in September after the gathering concluded). 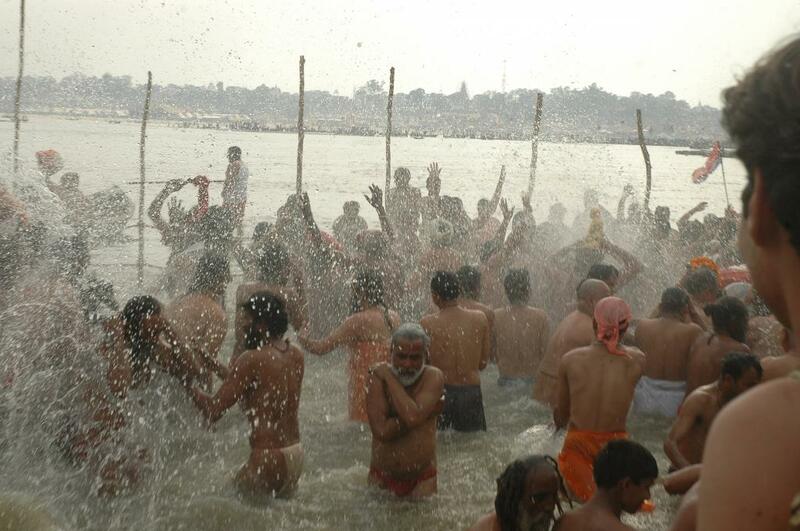 They found that the mass bathing event had increased turbidity and salinity, reduced the dissolved oxygen content, and increased the biological and chemical oxygen demand of Godavari water – all of which shows that Kumbh had downgraded the water quality significantly. Also, the water in the river saw nearly a 130-fold increase in the number of bacteria after the fair. “A majority of these bacteria contained genes that confer resistance to beta-lactams, folate, antimicrobial peptide, and vancomycin which might pose serious threats to public health in the long run,” said Sharma. The findings were published in a recent issue of the journal Microbial Ecology. Scientists believe that open defecation by pilgrims, abrupt sewage management and dysfunctional waste disposal system at multiple sites led to river water contamination during the Kumbh. “Our findings call for a detailed investigation to evaluate the long-term impact of such an event on human health and river ecosystem,” said the lead researcher.